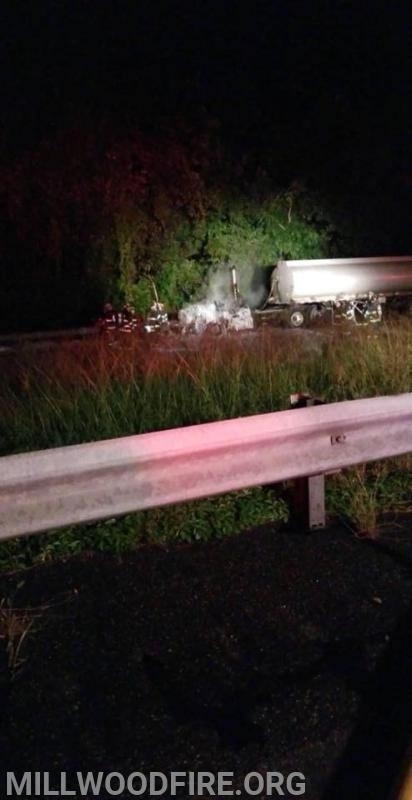 Just past midnight, Millwood Tanker 15 was requested to assist the Croton-on-Hudson Fire Department on Route 9 with a fully involved tractor trailer fire. Croton units arrived to find the tractor portion was fully involved but the trailer carrying 10,000 gallons of gas was not on fire. Croton FD units conducted an aggressive attack of the tractor, as to avoid the spread of the fire to the trailer. Tanker 15 was requested to supply water to the three Croton engines on scene. 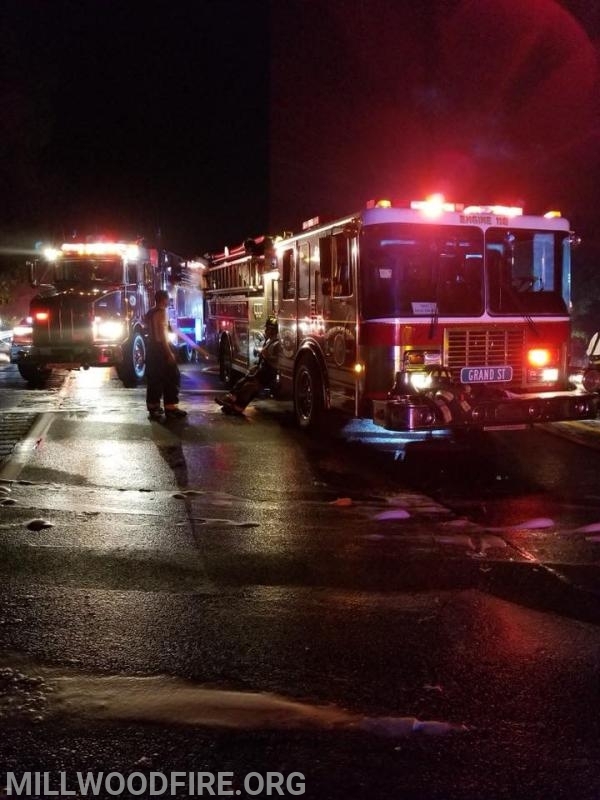 In the end, almost 10,000 gallons of water and 100 gallons of foam were used to extinguish this dangerous fire. Units were back in service after about 2 hours.